What kind of movies, tv shows, books, toys, or comics are right for your kids? 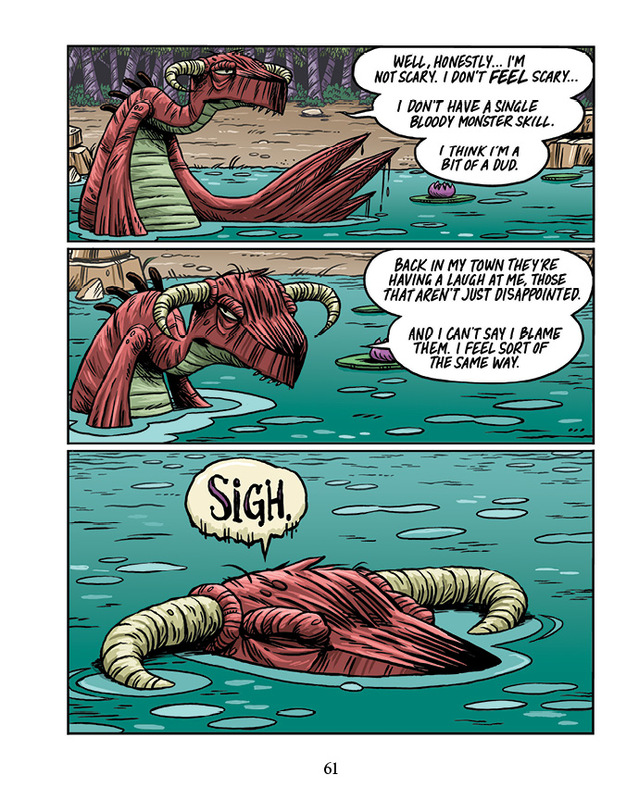 Posted by hatlentore in Comics/Graphics Novels, Uncategorized. Creators of all-ages comics gathered at Comic-Con International in San Diego for the appropriately titled “All-Ages Comics Have Arrived” panel. Moderated by “Lumberjanes” co-creator and KaBOOM! Editor Shannon Watters, the panel featured a diverse group of creators: Dave Roman (“Astronaut Academy,” “Teen Boat!”), Gene Luen Yang (“American Born Chinese,” “Boxers and Saints”), David Petersen (“Mouse Guard”), and Ian McGinty (“Bravest Warriors,” “Adventure Time: Candy Capers”). Watters started the panel with a tough question regarding the reputation of all-ages comics: “Why do you think that people get so defensive about something not just being for kids, or not being for kids at all?” Roman speculated that the defensiveness was not restricted to the world of comics, or even a particular age group. “Even a ten-year-old kid will be like, ‘I don’t watch Nick Jr.! That’s for babies! 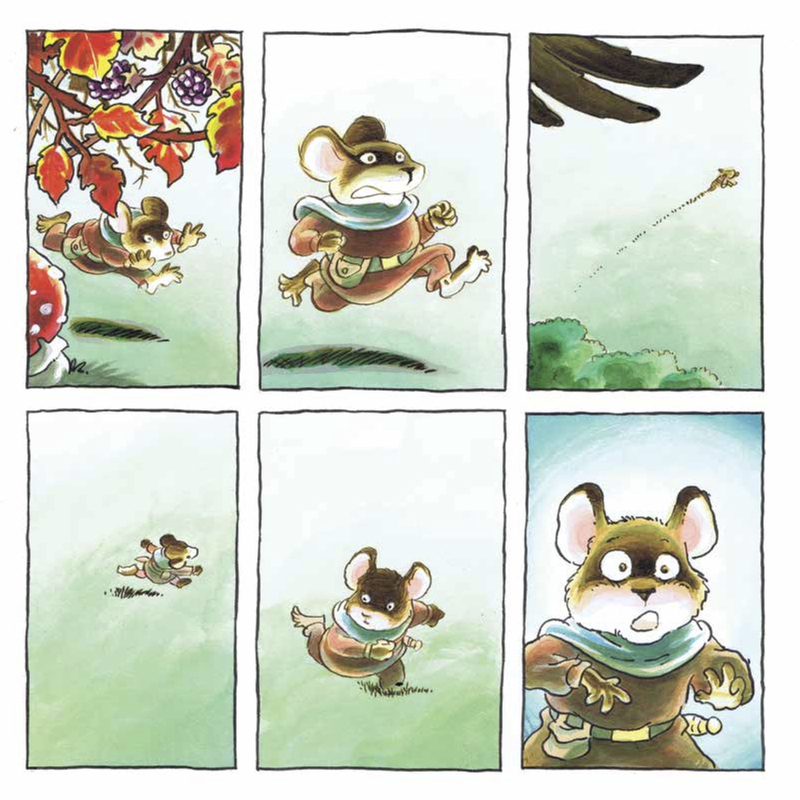 '” He also said that publishers push books into specific categories for marketing purposes, which makes it difficult to establish an all-ages title as truly accessible for all audiences. 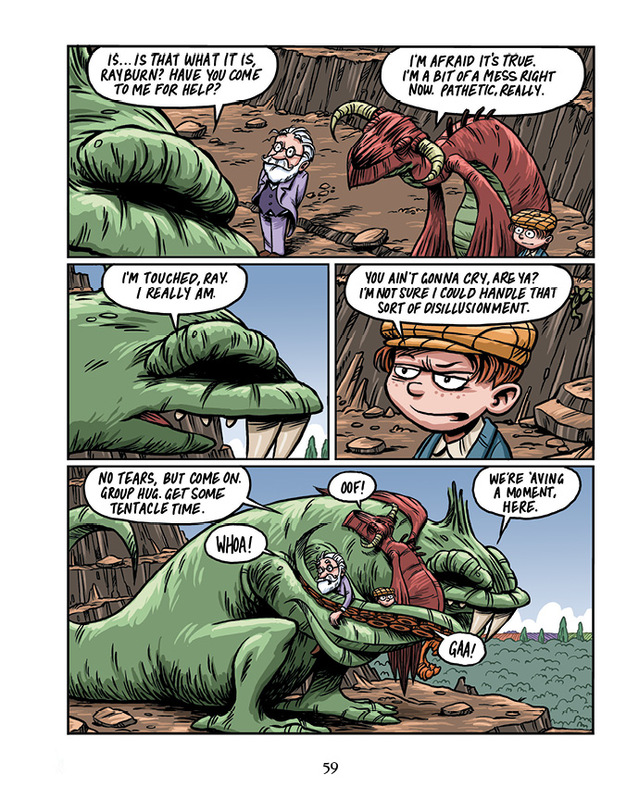 Posted by hatlentore in Books, Comics/Graphics Novels, Preview. San Diego, CA (July 28, 2014) – Today, 15-time Grammy® award winning Alicia Keys announced the expansion of her groundbreaking storytelling app Mama Mae & LeeLee into an upcoming children’s book from IDW Publishing. In 2012, Keys debuted her digitally interactive app The Journal of Mama Mae & LeeLee, immersing users in a vibrant and heartfelt tale. 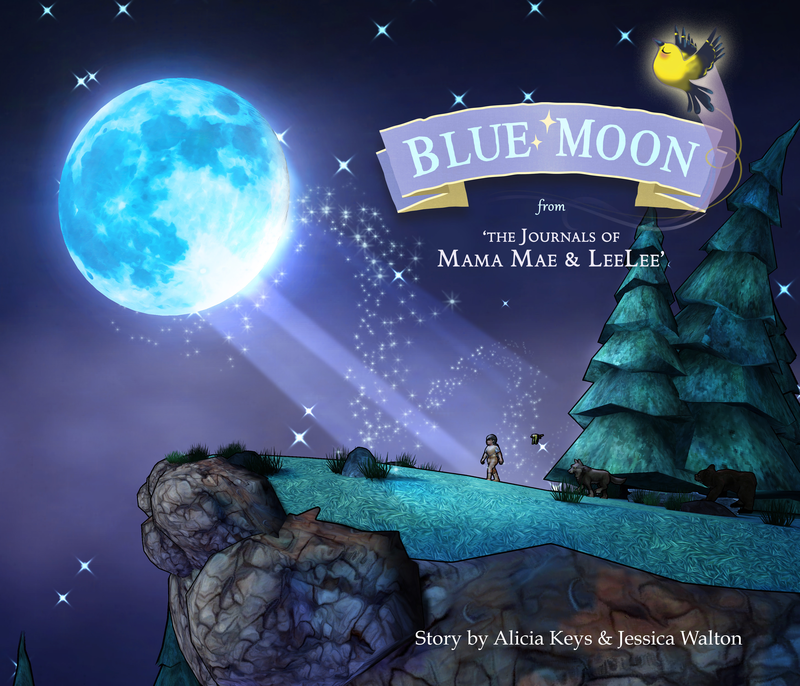 The first story from the acclaimed app, Blue Moon: From The Journals Of Mama Mae And LeeLee, will published in book form this August. The Journals of Mama Mae & LeeLee offers a poignant and interactive experience that revolves around LeeLee, a creative young girl who struggles with moving to a new city. Aided by her grandmother Mama Mae, LeeLee is introduced to tales built around Mama Mae’ four pillars: authenticity, empowerment, self-confidence, and exploration. With these stories opening her eyes to new characters and circumstances, LeeLee learns to recognize her inner potential. Featuring original and exclusive music from Alicia Keys herself, the app provides a truly dynamic experience for child users. IDW Publishing’s hardcover adaptation of Blue Moon features beloved characters LeeLee, Mama Mae, and introduces the inspirational story of Abey, a young 17th century Native American girl, whose extraordinary adventures challenge her curiosity and test her courage. Though obstacles stand in her way, Abey finds her way home with a little faith in herself and help from new friends. Written by Alicia Keys, Jessica Walton, Cheryl Abood, and Victoria Racino, this new book is brought to life by the same captivating visuals from Bento Box Interactive. Fans of Mama Mae and LeeLee and Alicia Keys can download the original app through the iTunes App Store. In addition, an all-new adventure in the newest story Mookey the Tiger, is also available now. Bento Box Interactive (“BBI”) designs, produces and distributes interactive storytelling experiences for multiple platforms, from audio-enhanced interactive storybooks to apps for mobile, tablet, and other digital devices. Titles include The Journals of Mama Mae & Leelee with Alicia Keys, award-winning storytelling app The Paper Fox and 26 episodes of Sweet Pickles, based on the classic series. Bento Box Interactive is the interactive media sibling of the award-winning animation studio, Bento Box Entertainment. For more information, visit www.bentoboxent.com. 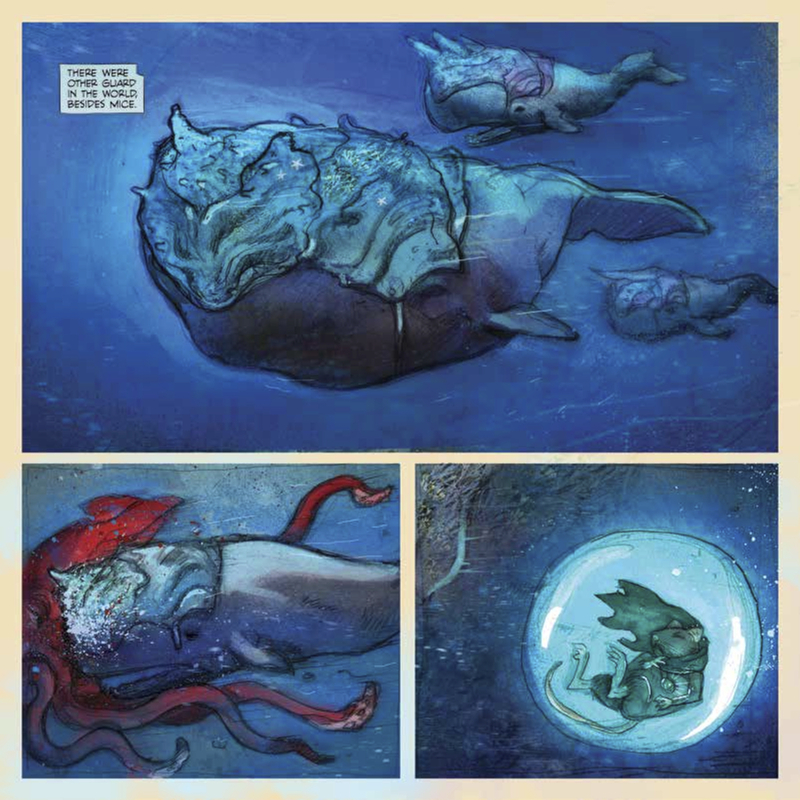 Posted by hatlentore in Comics/Graphics Novels, Preview. IDW Limited has examined every detail in the design of this book line. From hand-built color printed tray cases to exclusive covers and vellum overlays, every book will be a magical experience. Presented in three tiers of collectibility, fans will have their choice of the Red Label (limited to 100 books per character) which comes with a hand-drawn sketch card, Black Label (50 per character) which includes a sketch card and a 9” x 12” sketch plate with a hand-drawn illustration from an amazing stable of top talent including current MLP artists Agnes Grabowska and Amy Mebberson, or the Blue Label Edition (just 5 per character) which will come with an 11” x 14” original painting by premier MY LITTLE PONY cover artist Sara Richard! IDW is an award-winning publisher of comic books, graphic novels and trade paperbacks, based in San Diego, California. Renowned for its diverse catalog of licensed and independent titles, IDW publishes some of the most successful and popular titles in the industry, including: Hasbro’s The TRANSFORMERS, G.I. JOE and MY LITTLE PONY; Paramount’s Star Trek; Nickelodeon’s Teenage Mutant Ninja Turtles; 2000AD’s Judge Dredd; The Rocketeer; Toho’s Godzilla; Wizards of the Coast’s Magic: The Gathering and Dungeons & Dragons; HBO’s True Blood; and the Eisner-Award winning Locke & Key series, created by best-selling author Joe Hill and artist Gabriel Rodriguez. IDW is also home to the Library of American Comics imprint, which publishes classic comic reprints, and Yoe! Books, a partnership with Yoe! Studio. IDW’s critically- and fan-acclaimed series are continually moving into new mediums. Currently, Warner Brothers and Barry Sonnenfeld are attached to adapt LORE into a feature film starring Dwayne “The Rock” Johnson and Jerry Bruckheimer Films and Disney are creating a feature film based on World War Robot, with Michael Bay‘s Platinum Dunes and Sony bringing Zombies vs. Robots to film. Hasbro, Inc. (NASDAQ: HAS) is a branded play company dedicated to fulfilling the fundamental need for play for children and families through the creative expression of the Company’s world class brand portfolio, including TRANSFORMERS, MONOPOLY, PLAY-DOH, MY LITTLE PONY, MAGIC: THE GATHERING, NERF and LITTLEST PET SHOP. From toys and games, to television programming, motion pictures, digital gaming and a comprehensive licensing program, Hasbro strives to delight its global customers with innovative play and entertainment experiences, in a variety of forms and formats, anytime and anywhere. The Company’s Hasbro Studios develops and produces television programming for more than 170 markets around the world, and for the U.S. on Hub Network, part of a multi-platform joint venture between Hasbro and Discovery Communications (NASDAQ: DISCA, DISCB, DISCK). Through the company’s deep commitment to corporate social responsibility, including philanthropy, Hasbro is helping to build a safe and sustainable world for future generations and to positively impact the lives of millions of children and families every year. It has been recognized for its efforts by being named one of the “World’s Most Ethical Companies” and is ranked as one of Corporate Responsibility Magazine’s “100 Best Corporate Citizens.” Learn more at www.hasbro.com. San Diego, CA – July 21, 2013 — Papercutz, the industry’s leading children’s graphic novel publisher, will introduce fans to the box office sensation “RIO” through an ongoing series of graphic novels developed in partnership with Twentieth Century Fox Consumer Products. Available in March 2014, the first book will serve as a bridge between the original animated comedy adventure, and the highly anticipated sequel from Blue Sky Studios and Fox Animation, “RIO 2,” arriving in theaters April 2014. The series will be written by Stefan Petrucha (POWER RANGERS, NANCY DREW) and illustrated by fan-favorite animation comics artist James Silvani (Darkwing Duck, Richie Rich). The first volume, entitled, “Snakes Alive!” catches up with Blu and Jewel, the last surviving Blue Spix Macaws, as they raise their kids in the Blu Bird Sanctuary near Rio de Janeiro. When the sanctuary is threatened by financial trouble, Blu and the gang embark on a quest deep into the jungle to find an ancient treasure that may save their home. The entire cast of the animated smash RIO returns in RIO 2, and they are joined by a new flock of top actors and musical talents. Rich with grandeur, character, color and music, RIO 2 finds Jewel (Anne Hathaway), Blu (Jesse Eisenberg) and their three kids leaving their domesticated life in that magical city for a journey to the Amazon. They encounter a menagerie of characters who are born to be wild, voiced by Oscar nominee Andy Garcia, Oscar/Emmy/Tony-winner Rita Moreno, Grammy winner Bruno Mars, and Tony winner Kristin Chenoweth. 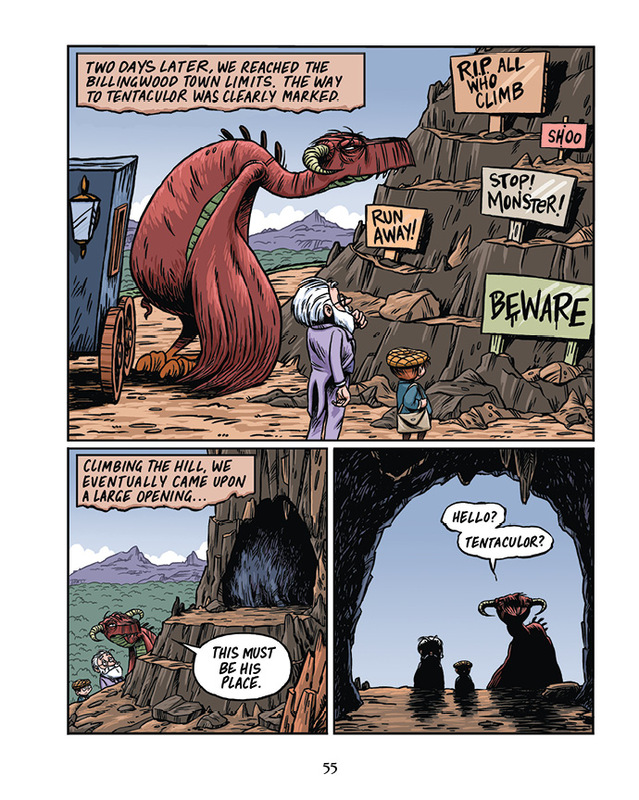 Popular with reluctant readers and gifted readers alike, Papercutz graphic novels cover a wide range of genres, reading levels, and favorite characters including The Smurfs, LEGO® NINJAGO, Geronimo Stilton, Nancy Drew, and many more. Papercutz is proud to be the largest standalone publisher exclusively dedicated to children’s graphic novels, with books available at all major retailers, bookstores, and comic book stores, and e-books available on comiXology, iVerse, and all e-reader devices. A recognized industry leader, Twentieth Century Fox Consumer Products licenses and markets properties worldwide on behalf of Twentieth Century Fox Film Corporation, Twentieth Television and Fox Broadcasting Company, as well as third party lines. The division is aligned with Twentieth Century Fox Television, one of the top suppliers of prime time entertainment programming to the broadcast networks. On Sale now in Print and Digital. 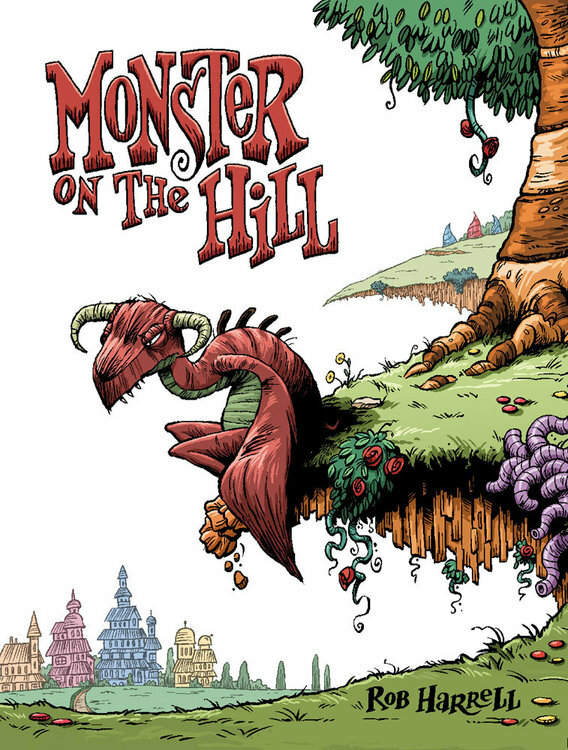 In a fantastical 1860s England, every quiet little township is terrorized by a ferocious monster — much to the townsfolk’s delight! 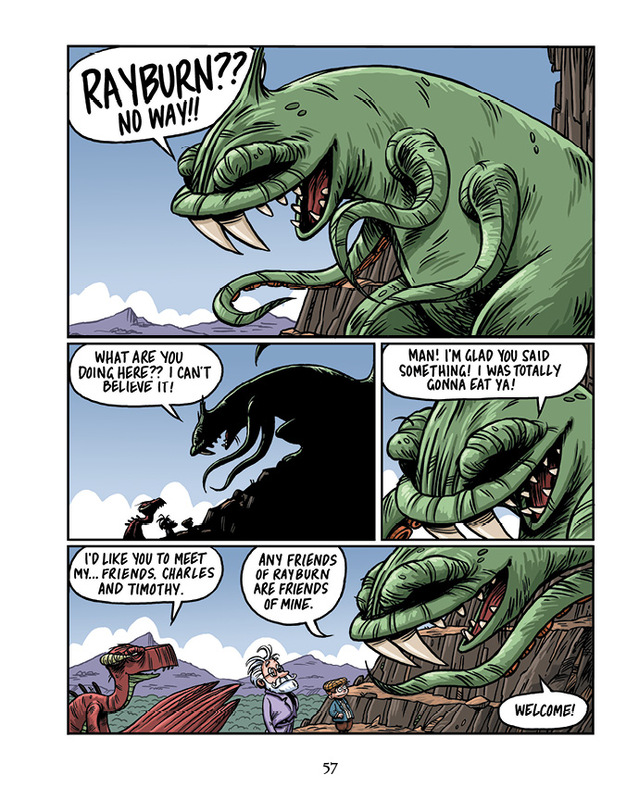 Each town’s unique monster is a source of local pride, not to mention tourism. Each town, that is… except for one. Unfortunately for the people of Stoker-on-Avon, their monster isn’t quite as impressive. In fact, he’s a little down in the dumps. 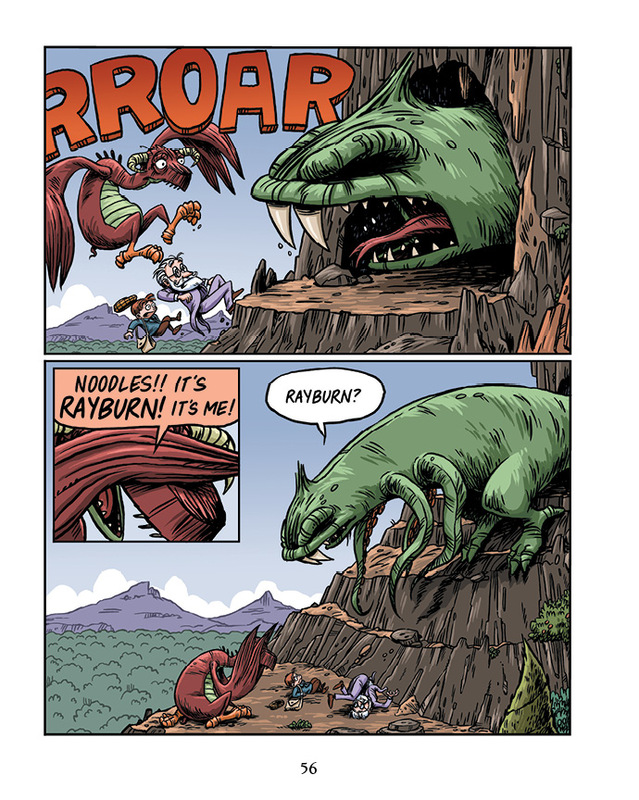 Can the morose Rayburn get a monstrous makeover and become a proper horror? It’s up to the eccentric Dr. Charles Wilkie and plucky street urchin Timothy to get him up to snuff, before a greater threat turns the whole town to kindling. powerful roster of WWE Superstars. A mainline action/adventure series written by New York Times best-selling author and three-time WWE Champion Mick Foley debuts in December, followed by a separate children’s series in June 2014. Foley’s series will be set in the real world of WWE’s most electrifying events like Monday Night Raw® and Friday Night Smackdown® and will feature a growing cast of today’s most popular WWE Superstars along with legends from the company’s storied history. The monthly title will launch in December in comic book stores and newsstands nationwide under a new Papercutz imprint for teens and up. 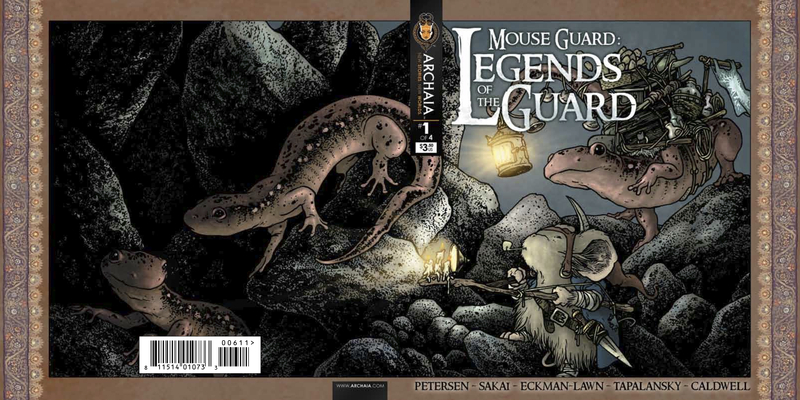 Graphic novel collections of the series will launch next May. WWE, a publicly traded company (NYSE: WWE), is an integrated media organization and recognized leader in global entertainment. The company consists of a portfolio of usinesses that create and deliver original content 52 weeks a year to a global audience. WWE is committed to family friendly entertainment on its television programming, pay-per-view, digital media and publishing platforms. WWE programming is broadcast in more than 150 countries and 30 languages and reaches more than 650 million homes worldwide. The company is headquartered in Stamford, Conn., with offices in New York, Los Angeles, Miami, London, Mumbai, Shanghai, Singapore, Istanbul and Tokyo. Additional information on WWE (NYSE: WWE) can be found at wwe.com and corporate.wwe.com. For information on our global activities, go to http://www.wwe.com/worldwide/. Forward-Looking Statements: This press release contains forward-looking statements pursuant to the safe harbor provisions of the Securities Litigation Reform Act of 1995, which are subject to various risks and uncertainties. These risks and uncertainties include, without limitation, risks relating to maintaining and renewing key agreements, including television and pay-per-view programming distribution agreements; the need for continually developing creative and entertaining programming; the continued importance of key performers and the services of Vincent McMahon; the conditions of the markets in which we compete and acceptance of the Company’s brands, media and merchandise within those markets; our exposure to bad debt risk; uncertainties relating to regulatory and litigation matters; risks resulting from the highly competitive nature of our markets; uncertainties associated with international markets; the importance of protecting our intellectual property and complying with the intellectual property rights of others; risks associated with producing and travelling to and from our large live events, both domestically and internationally; the risk of accidents or injuries during our physically demanding events; risks relating to our film business; risks relating to increasing content production for distribution on various platforms, including the potential creation of a WWE Network; risks relating to our computer systems and online operations; risks relating to the large number of shares of common stock controlled by members of the McMahon family and the possibility of the sale of their stock by the McMahons or the perception of the possibility of such sales; the relatively small public float of our stock; and other risks and factors set forth from time to time in Company filings with the Securities and Exchange Commission. Actual results could differ materially from those currently expected or anticipated. In addition, our dividend is dependent on a number of factors, including, among other things, our liquidity and historical and projected cash flow, strategic plan (including alternative uses of capital), our financial results and condition, contractual and legal restrictions on the payment of dividends, general economic and competitive conditions and such other factors as our Board of Directors may consider relevant. The Official Prequel To The Full-Length Feature Film Can Only Be Found Here! San Diego, CA (July, 17 2013) – To the delight of fans, Hasbro has announced that it will release a MY LITTLE PONY 2013 special edition pony, inspired by the popular DJ PON-3 character at San Diego Comic-Con. 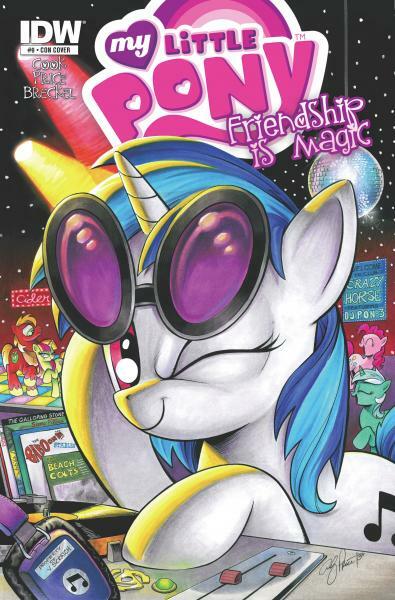 Adding to the DJ Pon-3 celebrity status at this year’s convention, IDW’s SDCC special edition My Little Pony #9 variant will feature a glitter cover with the fan-favorite pony. 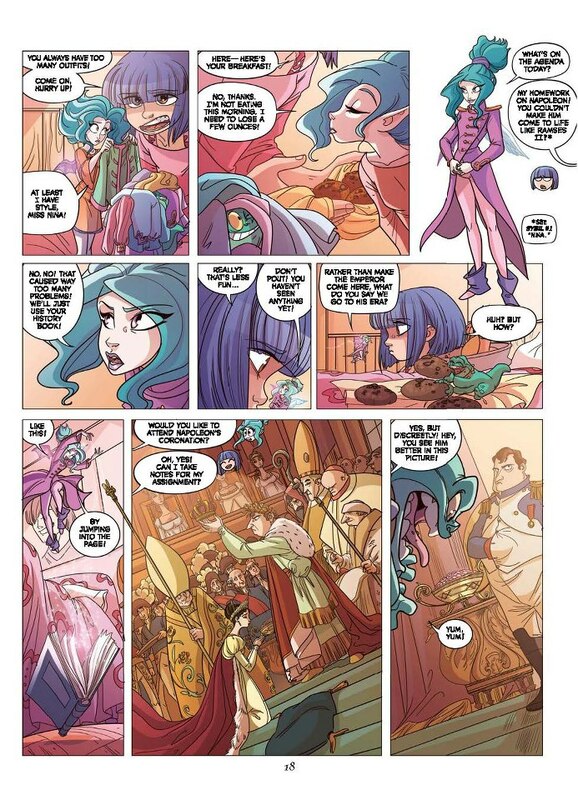 “IDW’s special SDCC edition of My Little Pony #9 is a must have for any MY LITTLE PONY fan. The cover is a great companion piece to Hasbro’s special edition pony inspired by the DJ PON3 toy, and the additional content provides an exciting glimpse into the origins of Twilight Sparkle’s adventures in Equestria Girls. 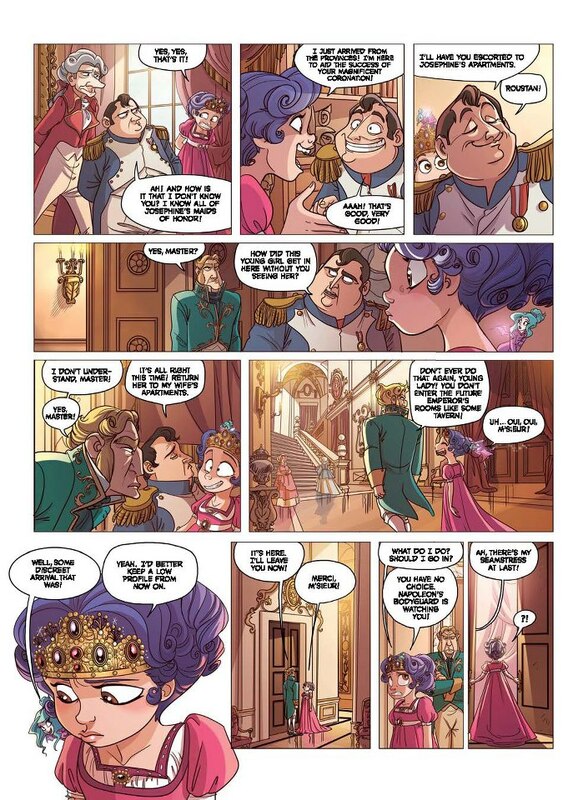 Where else can you get so much awesome in one comic?” says Michael Kelly, Director of Global Publishing at Hasbro. 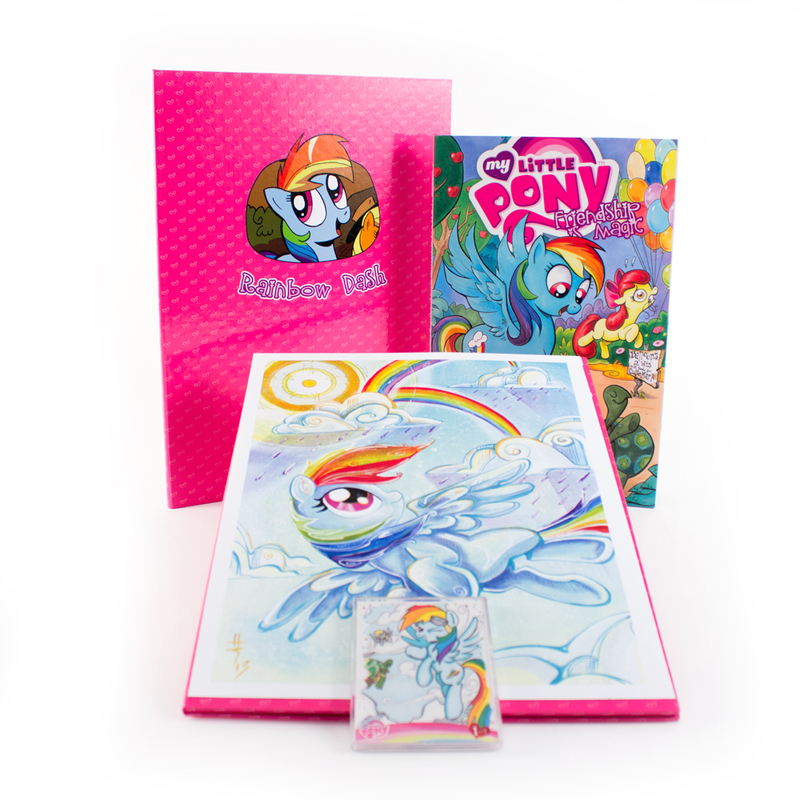 While Hasbro lights up the convention, IDW has a few special surprises for all fans of the smash-hit My Little Pony comic book series. The special edition glitter variant will feature an additional 8 pages of neverbefore seen material to give fans the official prequel to the film, My Little Pony Equestria Girls. Featuring some familiar faces like you’ve never seen them before, This special edition variant contains the entirety of My Little Pony #9 from IDW as well the all-new 8-page story by the same extraordinary creative team of Katie Cook and Andy Price. 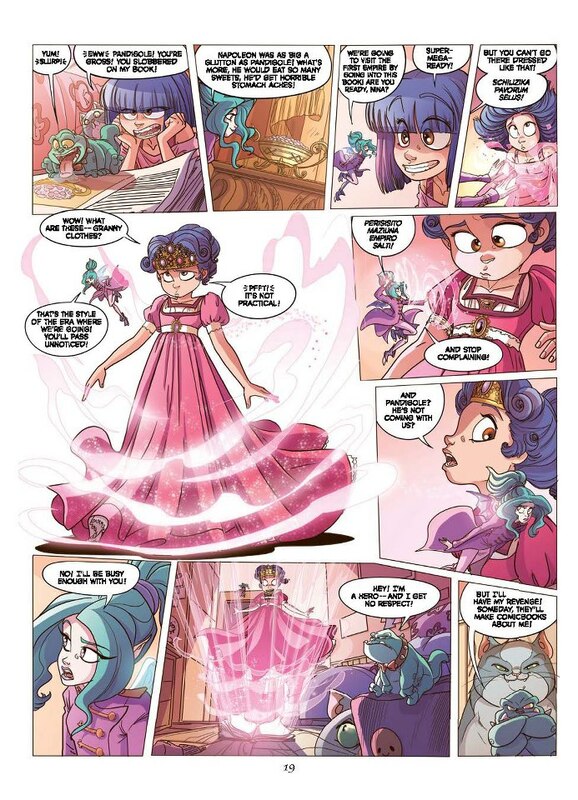 This backup story focuses on a new character from My Little Pony Equestria Girls, Sunset Shimmer, who is transported through a magical mirror in Princess Celestia’s castle. If that weren’t enough, IDW will also be selling a hardcover collection of the first four issues of the My Little Pony series with a J. Scott Campbell variant cover at $25. Hasbro, Inc. (NASDAQ: HAS) is a branded play company dedicated to fulfilling the fundamental need for play for children and families through the creative expression of the Company’s world class brand portfolio, including TRANSFORMERS, MONOPOLY, PLAY-DOH, MY LITTLE PONY, MAGIC: THE GATHERING, NERF and LITTLEST PET SHOP. From toys and games, to television programming, motion pictures, digital gaming and a comprehensive licensing program, Hasbro strives to delight its global customers with innovative play and entertainment experiences, in a variety of forms and formats, anytime and anywhere. The Company’s Hasbro Studios develops and produces television programming for more than 170 markets around the world, and for the U.S. on Hub Network, part of a multi-platform joint venture between Hasbro and Discovery Communications (NASDAQ: DISCA, DISCB, DISCK). Through the company’s deep commitment to corporate social responsibility, including philanthropy, Hasbro is helping to build a safe and sustainable world for future generations and to positively impact the lives of millions of children and families every year. It has been recognized for its efforts by being named one of the “World’s Most Ethical Companies” and is ranked as one of Corporate Responsibility Magazine’s “100 Best Corporate Citizens.” Learn more at http://www.hasbro.com. 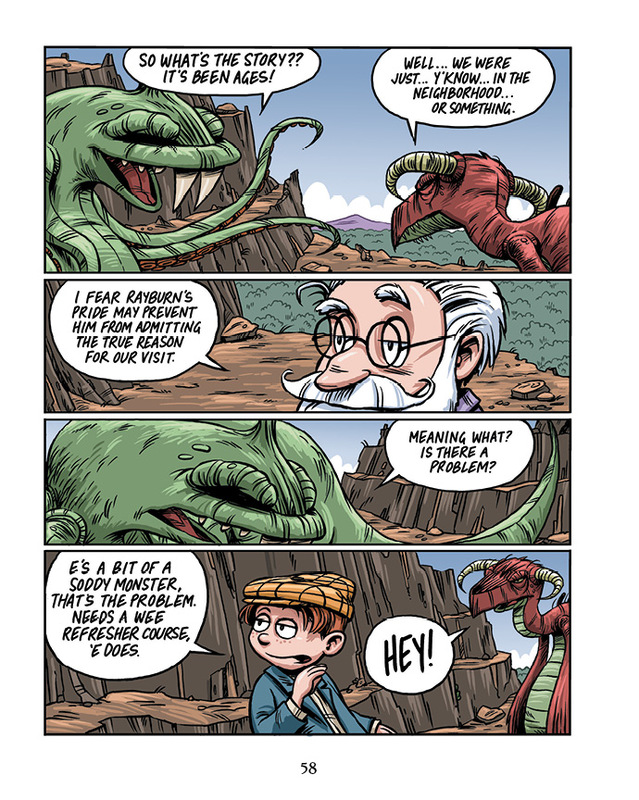 Posted by hatlentore in Comics/Graphics Novels. The 2011 Eisner Award winner for best anthology is back with a second volume! 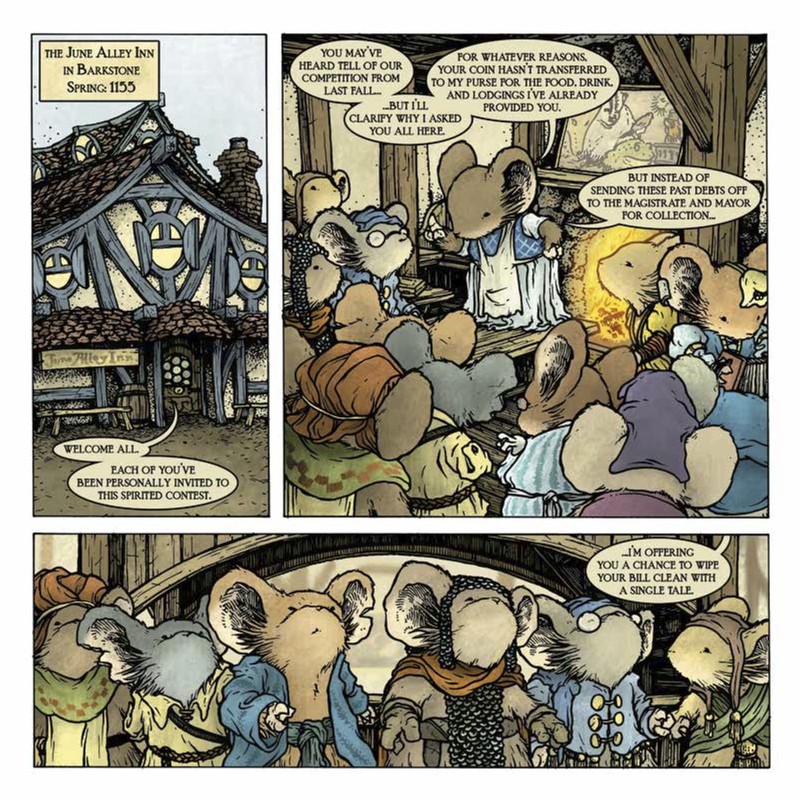 In the mouse tavern the June Alley Inn, a new round of storytelling begins between the patrons. Their goal is to be declared the best story of the night in hopes of having their outstanding debt to the barmaid forgiven. 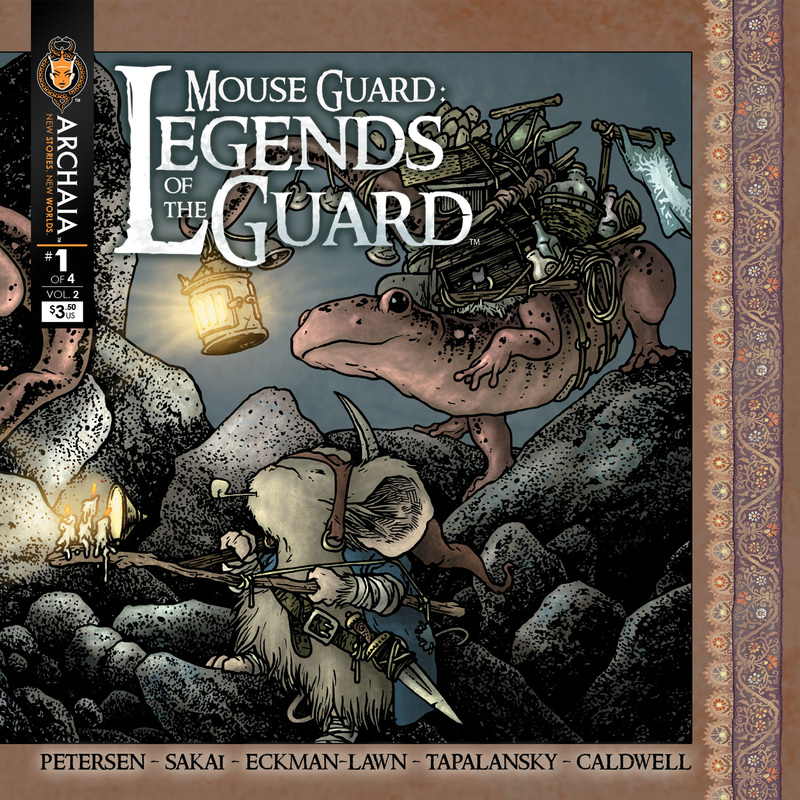 Legends of the Guard continues the tradition of featuring handpicked artists and storytellers by series creator David Petersen. 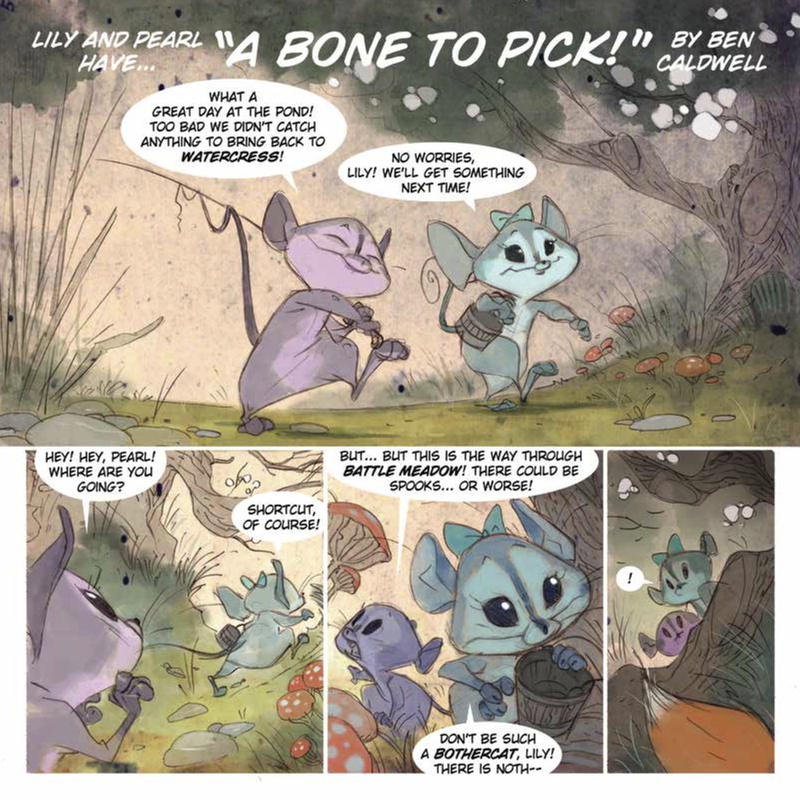 This issue features Stan Sakai (Usagi Yojimbo), Ben Caldwell (The Dare Detectives! ), and the Awakening team of Nick Tapalansky and Alex Eckman-Lawn! 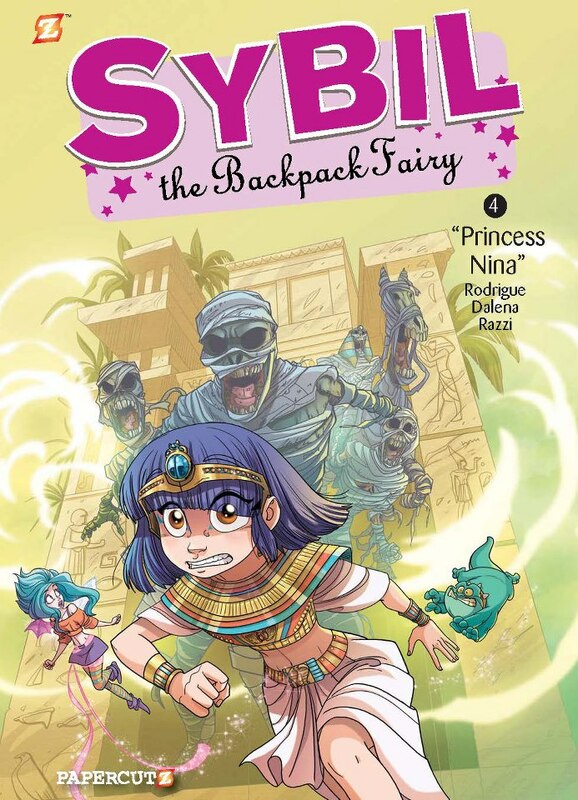 When Nina is assigned a history report, she and Sybil decide that the only proper way to research is to travel through time and see history for themselves! Though they have a great time meeting Ramses II, Leonardo da Vinci, and Napoleon, the evil fairy Amanite is observing from the sidelines. 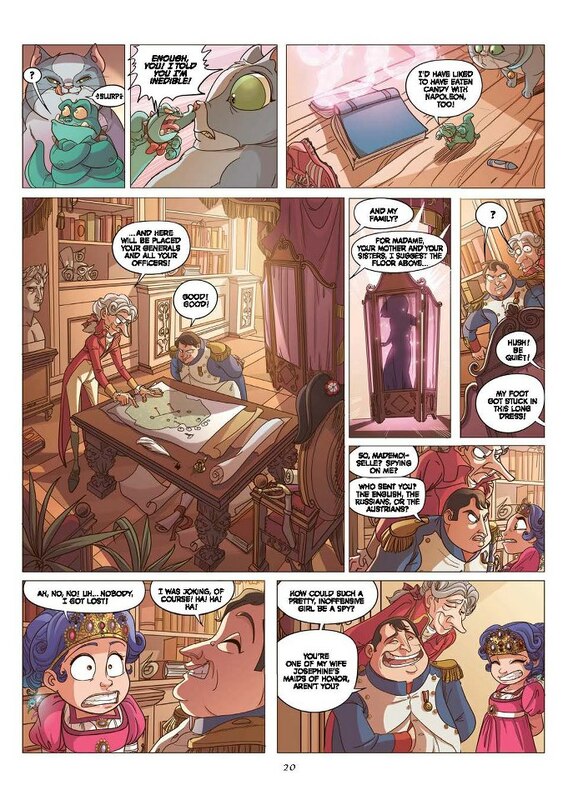 While Amanite schemes to turn their adventure against them, Nina and Sybil have to figure out a way to stop her . . . or risk being lost in time forever. 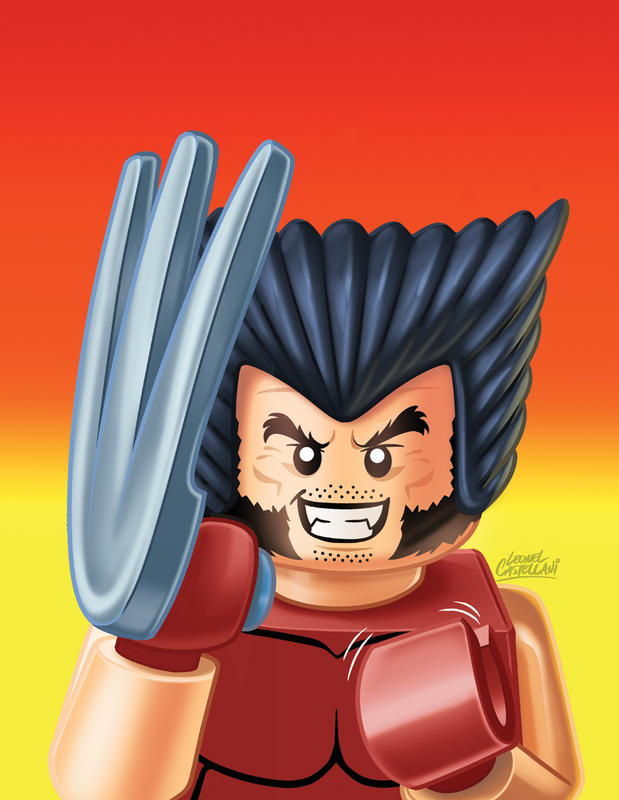 Build Up Your Variant Collection With Marvel LEGO® VARIANTS! 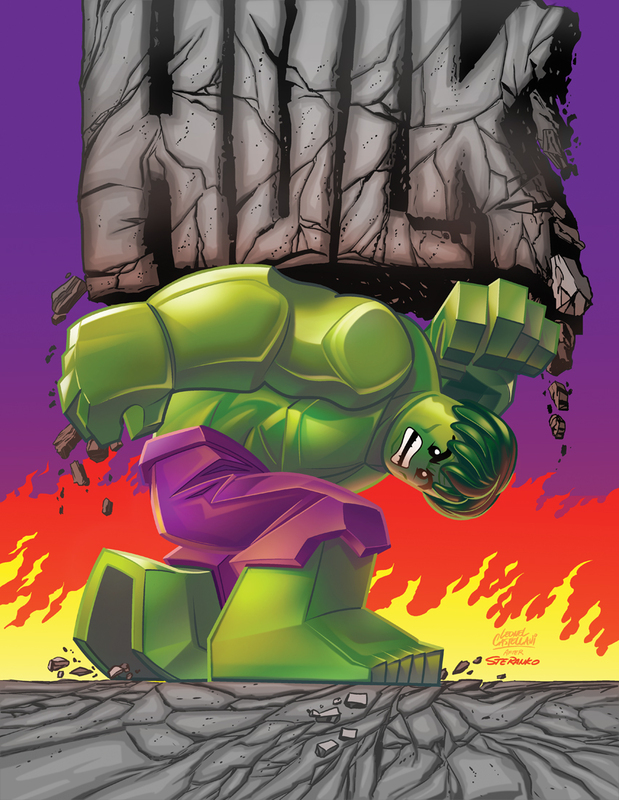 New York, NY – June 11, 2013 – This September, two of the world’s most iconic brands join forces as Marvel Entertainment & The LEGO Group, unite for the greatest variant covers you’ve ever seen – LEGO® Variants. That’s right, Iron Man, Hawkeye, Wolverine, Captain America, and so many more of your favorite Marvel heroes are translated into LEGO form! Not only will you get to see so many of Earth’s Mightiest as Minifigures, but over 20 of your favorite Marvel comics will feature these one- of-a-kind variant covers depicting some of the most classic of covers! 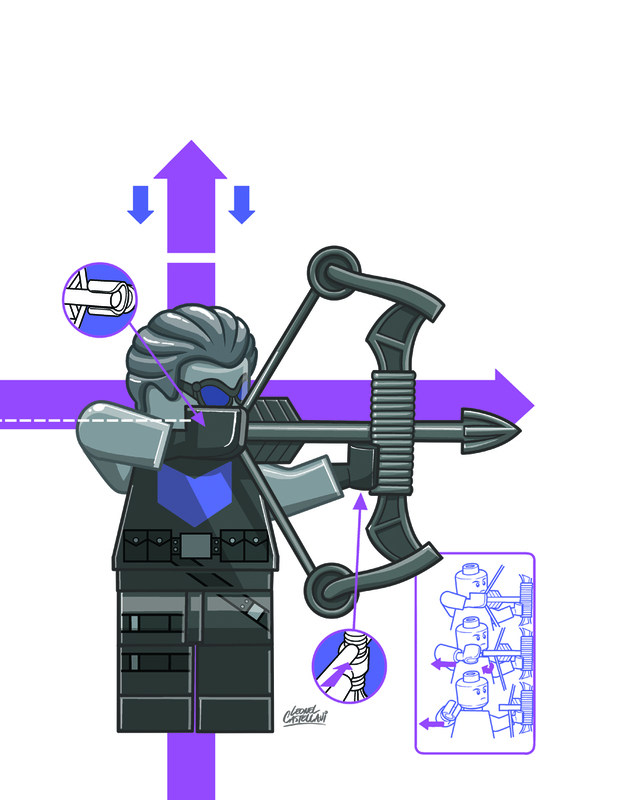 The LEGO variant covers complement the LEGO Marvel Super Heroes construction toy collection, which brings the characters, vehicles and action of Marvel’s renowned universe to the world of LEGO build-and-play adventure. There are currently eleven iconic scenes from the Avengers, Iron Man and Spider -Man franchises available including construction sets tied to Marvel’s Iron Man 3 feature film. The covers also celebrate the new LEGO® Marvel™ Super Heroes videogame which will be available beginning Fall 2013 and is the first instalment in the highly successful LEGO videogame franchise to feature a breadth of famous characters from the Marvel Comics Universe. To celebrate this Marvel Team-Up, Marvel has pored through the vaults and selected the best images for artists Leo Castellani, Christopher Jones and Adam DeKracker to bring you a set of covers that will be forever awesome in your collection! Be sure to head on over to your local comic shop immediately and tell your retailers which one you want because all of these limited LEGO Variant covers are going to go fast! Marvel urges retailers to check their orders on these hotly anticipated variant covers as the fan interest in the months to come can only increase. No fan will want to miss the chance to see their favorite Marvel heroes in a whole new light when the LEGO Variants hit store shelves worldwide! The LEGO Group is a privately held, family-owned company, based in Billund, Denmark. It was founded in 1932 and today the group is one of the world’s leading manufacturers of play materials for children, employing approximately 9,000 people globally. The LEGO Group is committed to the development of children’s creative and imaginative abilities. LEGO products can be purchased in more than 130 countries. LEGO and the LEGO logo are trademarks of The LEGO Group. © 2013 The LEGO Group.